Scale Label, Transfer Ribbon, Direct Thermal - Transfer Labels, Label Printer, Barcode, Scanning Products - Label Specialties, Inc.
Labels for CAS, Hobart, Ishida, TEC, Toledo, Avery Berkel, Digi, Tor-Rey, Globe, and Other Brands. LSi proudly supplies Thermal Transfer Ribbons that generally exceed OEM printer manufacturer’s specifications. Stock and/or custom configurations are available in widths from 1” to 10.75” (25mm to 273mm) and lengths from 242’ to 2953’ (74m to 900m). Label Specialties, Inc. provides depot and local maintenance, repairs, and service a wide range of printer brands. Parts and Printheads are available to customers who choose to maintain their own equipment. LSi manufactures scale label products for label scales manufactured by Atron (Acom, Easy Weigh), Avery Berkel, Bizerba, CAS, Digi, Globe Equipment, Hobart, Ishida, TEC, Toledo, Tor-Rey, and others. LSi manufactures custom printed and blank stock direct thermal label and thermal transfer label products, barcode labels, tags, and labels with consecutive numbering on rolls or fan folded. LSi manufactures custom printed tags and pressure sensitive labels with up to six colors. Our labels are available with liner print, UV varnish, die cut, continuous strip rolls, and available in many types of materials and adhesives wound inside or outside in rolls with a variety of core IDs, or fanfolded. LSi offers thermal transfer ribbon products in black or colors and available in wax, wax resin, or resin for use in thermal transfer label printers and thermal transfer tag printers made by Datamax, Sato, Zebra, Astro-Med, Automated Packaging System (APS), Avery Dennison, C. Itoh, Citizen, CodeWriter, Cognitive Solutions, Diagraph, Digi, DH Technology, Eltron, Esselte Meto, FRS, Intermec, Markem, Microcom, Monarch, Norwood, Novexx, Paxar, Printronix, RJS, Soabar, TEC, Tharo, Weber, and others. 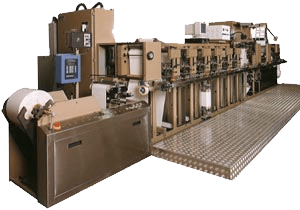 LSi offers In-line label applicators, direct thermal label printer, thermal transfer label printer, and tag printer products in all sizes, configurations, and price ranges from Datamax, Sato, Zebra, and other major OEM brands. LSi offers Barcode scanner, barcode verifier, and data capture devices and systems from Datalogic, HandHeld Products, IDTech, Intermec, Metrologic, Motorola, Opticon, Symbol Technologies, Unitech, and others. LSi offers P.O.S., mobile computing, and mobile communication products. With certified repair technicians, LSi offers printer repair, service, service contracts, parts, thermal printheads, and maintenance for Datamax, Sato, Zebra, and many other brands of label printers and tag printers. 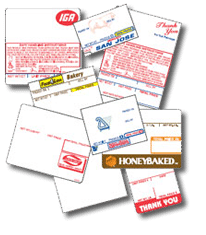 Contact Label Specialties, Inc. for information, including specifications and pricing, on any product from the manufacturers referenced above, as well as products from manufacturers not referenced above. Homepage | Se Habla Español | © Label Specialties, Inc. All rights protected and reserved. All brand names & products are trademarks of their respective companies.